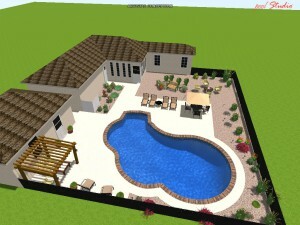 Custom design services are available to give you a 3D look at your completed project before any excavation begins. Sit down with one of our designers and work out all of your details and ideas. Our imaging is a wonderful tool that we have been using for years to give our customers a realistic view of there backyard paradise. 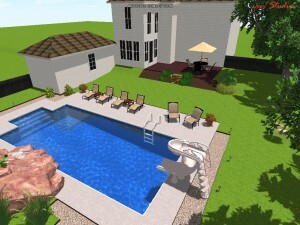 Planning is important and a key factor in getting the look and feel you want out of your swimming pool project. Below are a few examples of our custom designs.